'Was the twentieth century really the 'golden age' of medicine? The difficulty is that the field is too vast for any individual to answer this question - and until now, no comprehensive treatment of the era has been available. 'Medicine in the Twentieth Century' triumphantly overcomes this dilemma. Its wide-ranging coverage by over 40 world experts is not limited to western medicine, but includes consideration of the Third World, China, and the Soviet Union. No serious student of the era can afford to be without it.' - Stephen Lock, MD, Professor of Medicine and Editor of the British Medical Journal 1975-1991. 'A tour de force - this expansive synthesis is the best and most ambitious exploration we have of medicine in the twentieth-century. The nearly four dozen contributors that Cooter and Pickstone have commissioned to fill their bold canvas are historiographically sophisticated and thoroughly engaging. 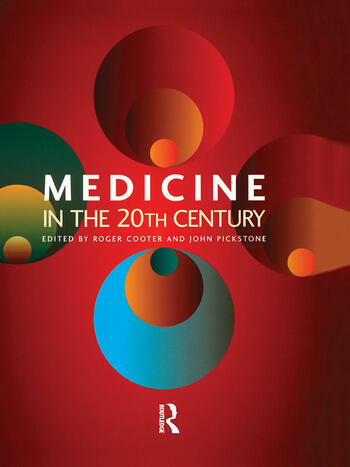 This book is indispensable reading for anyone who wants to understand the place and power of medicine in twentieth-century culture and the ongoing debates surrounding the nature of medicine in modern society' - John Harley Warner, Yale University. 'This volume poses enough salient questions to set research agendas for some time." - W.F. Bynum, University College London.